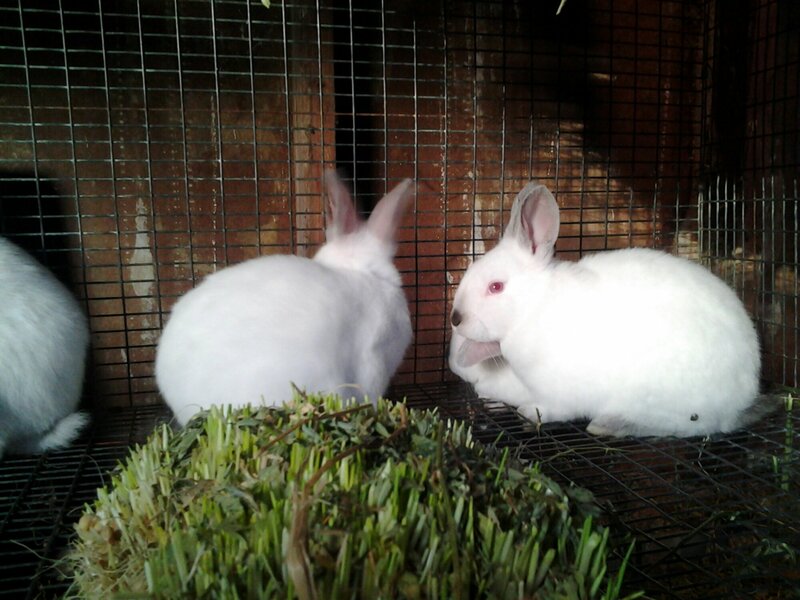 So, I got meat rabbits. Isn’t that how things seem to go? You decide to try somthhing, and no matter if you are going to go about it fast or slow, it always seems to immediatly plunge into high gear. She gave me her best producer Mrs. Clause (getting older and she has replacements already out of her), her buck Jazid (she got a new one that she’s breeding to and couldn’t justify the cost of feed to keep him around) and then sold me an up and coming doe which I named Lucky (lucky to not be eaten). Now, Lucky is fat. (Jazid is a bit “fluffy” as well.) Totally my fault. 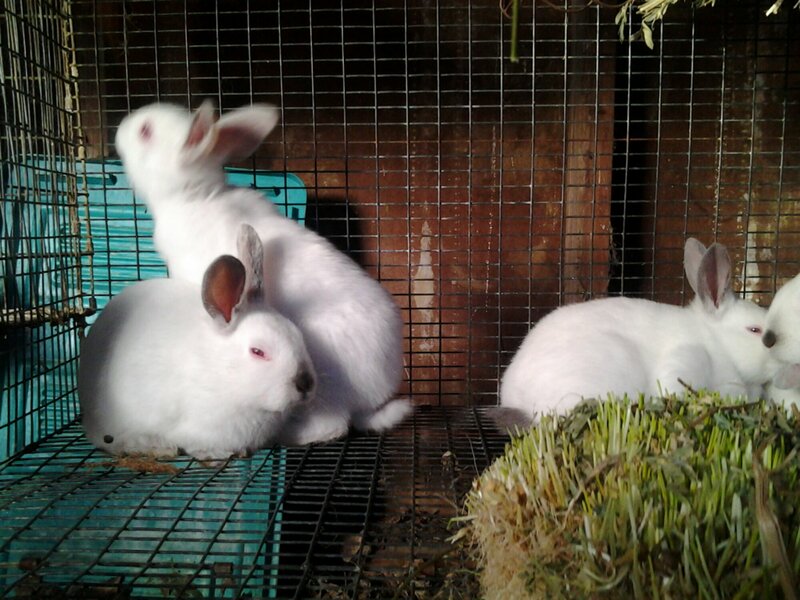 Its hard to judge rabbits conditions when you are new to them and don’t have many to go by. I was going to breed her last week when I rebred Mrs. 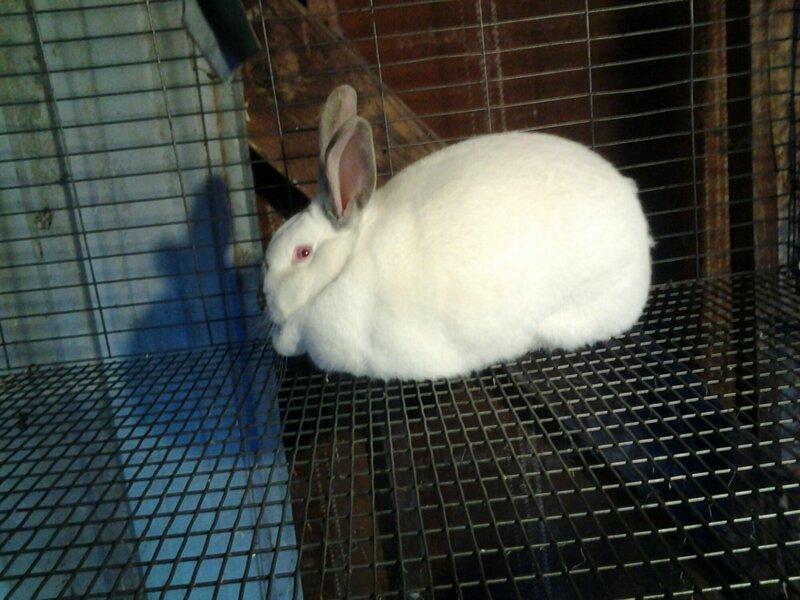 Clause, but its not a good idea to breed fat rabbits. They tend to have one large baby and that’s it, which isn’t good for them…..so I’ve been told anyway. 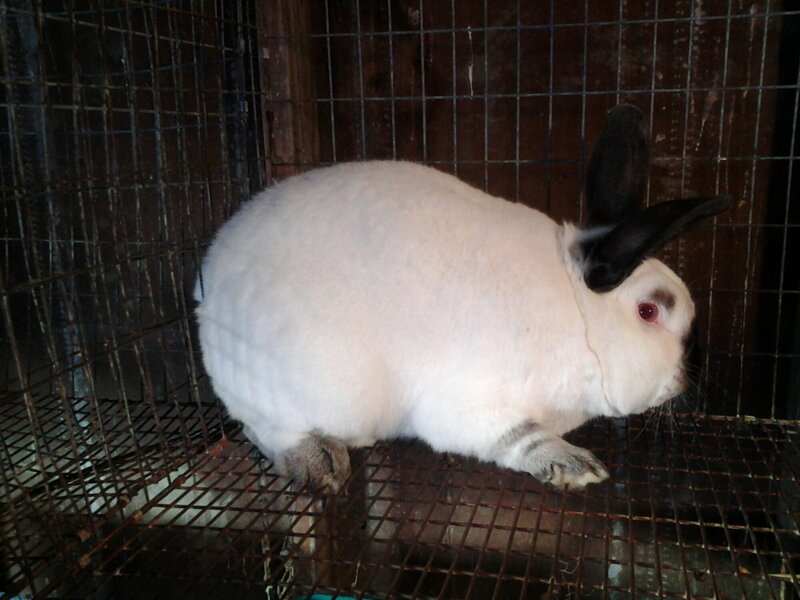 I have her on a diet and plan to breed her as soon as she looses some weight. I will probably get one more Doe and then be done. 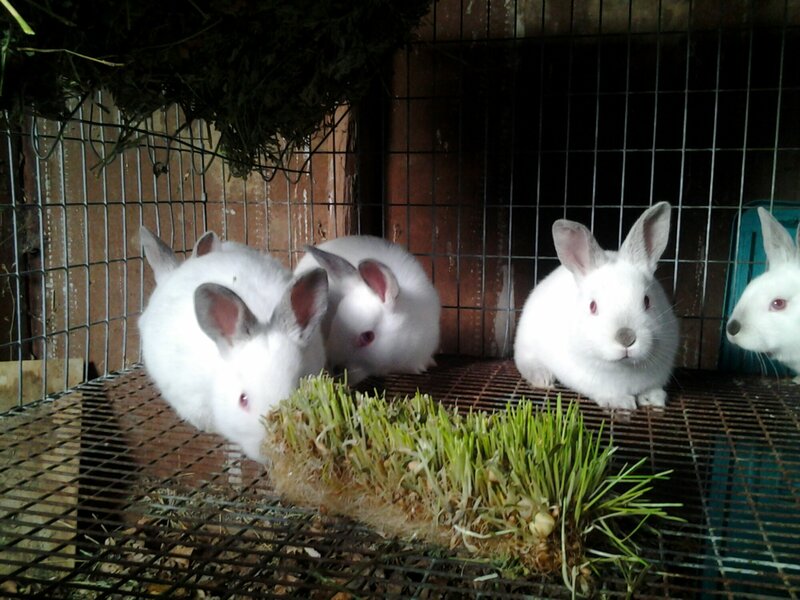 I am looking to breed enough rabbits for meat for Fate and I, my bother, and my parents. 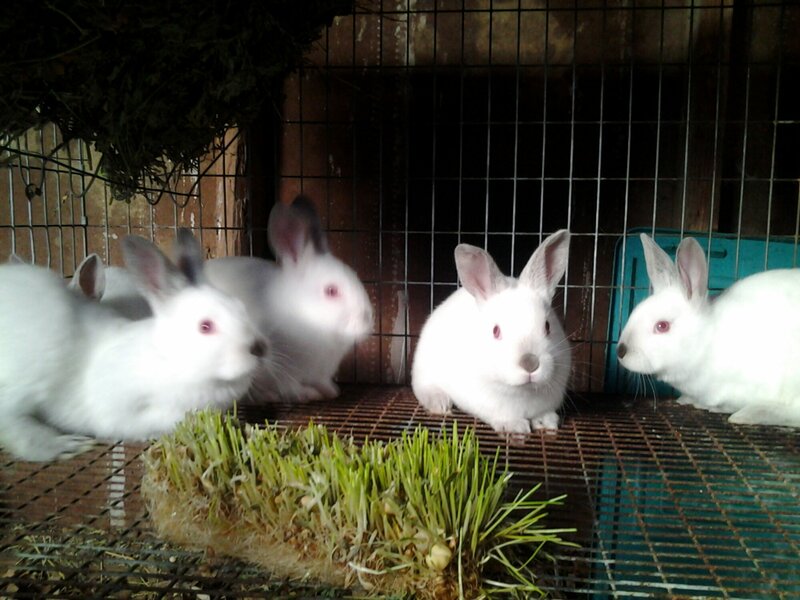 I really like rabbit meat so I’m looking forward to my first litter to grow out. 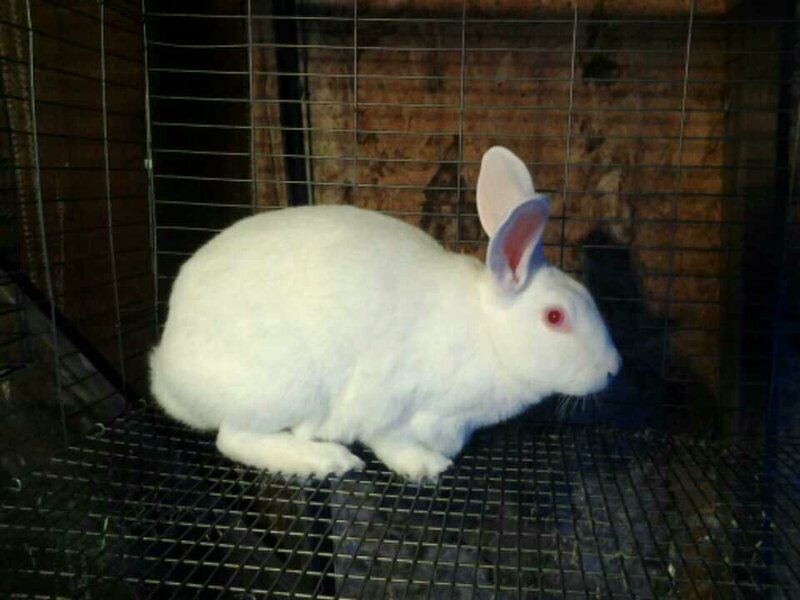 Having meat rabbits has been a real learning experience. I will be doing a few posts in the future about how I am feeding them, as well as how I am housing them. 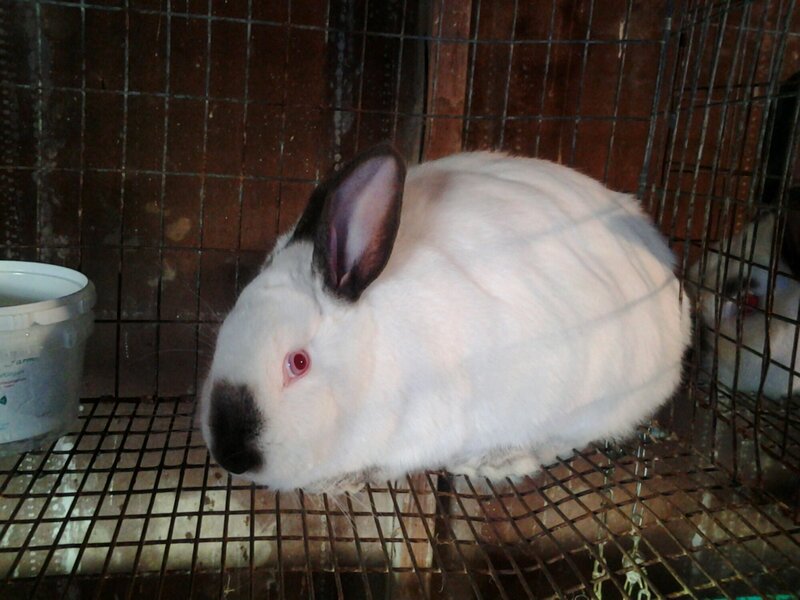 I have plans for grow out pens this spring, the litters will be pasture raised. That dosn’t make much sense right now though since everything is brown and the ground is super muddy. 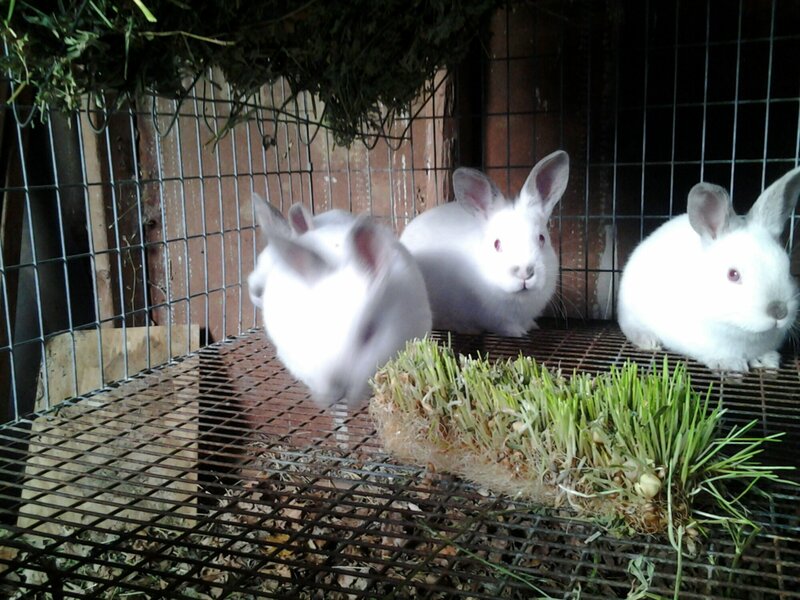 These guys are growing out in cages, but are being fed fodder, I will be explaining my setup in my next post.